This is a one meal chinese dish.Easy and fast to make and yummy to taste. 2 invh piece of Ginger. 2 tsp finely chopped Ginger. 2 tbsp chopped Spring onion greens. 1 tbsp Cornflour mixed with 1 cup of Water. 1 tbsp chopped Spring onion greens for garnishing. 1 cup Long grain Rice. 2 tbsp Capsicum chopped in small cubes. 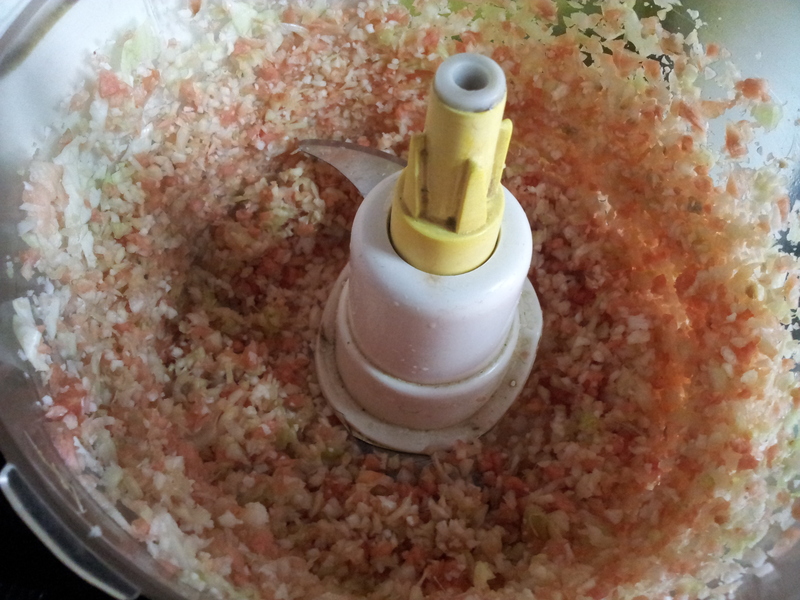 2 tbsp spring onion chopped finely. Salt and Pepper powder to taste. 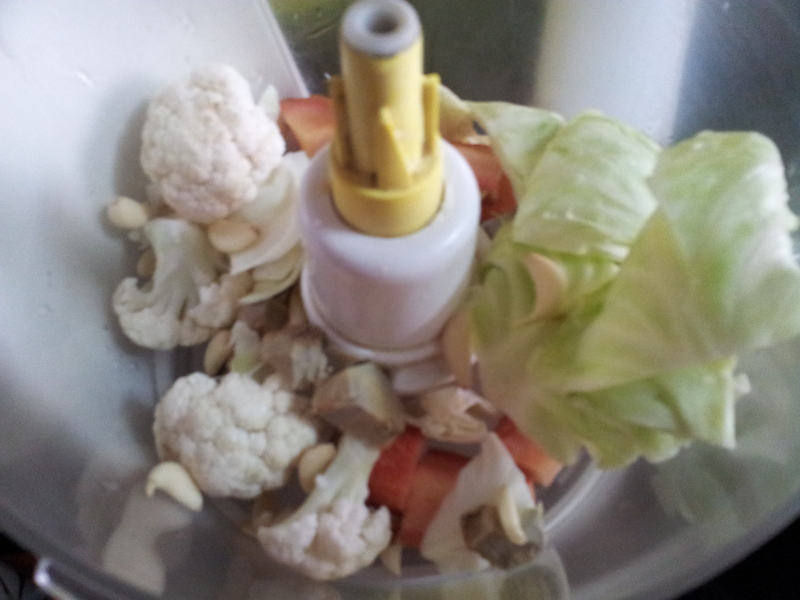 In a food processor,chop together all the vegetables, ginger & garlic. Remove in bowl,add cornflour,soya sauce,salt and pepper mix well. Sprinkle little water if required. Shape spoonfuls of the mixture into small balls. 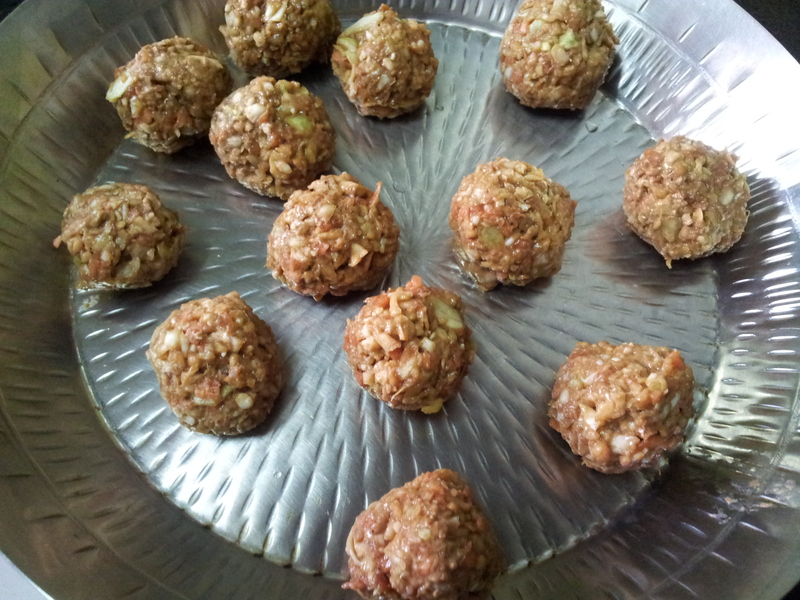 If you find it difficult to form balls, sprinkle a little water to bind the mixture. Drain on absorbent paper and keep aside. Heat the oil in a wok or frying pan on a high flame. Add the garlic and ginger ,stir fry over a high flame for a few seconds. 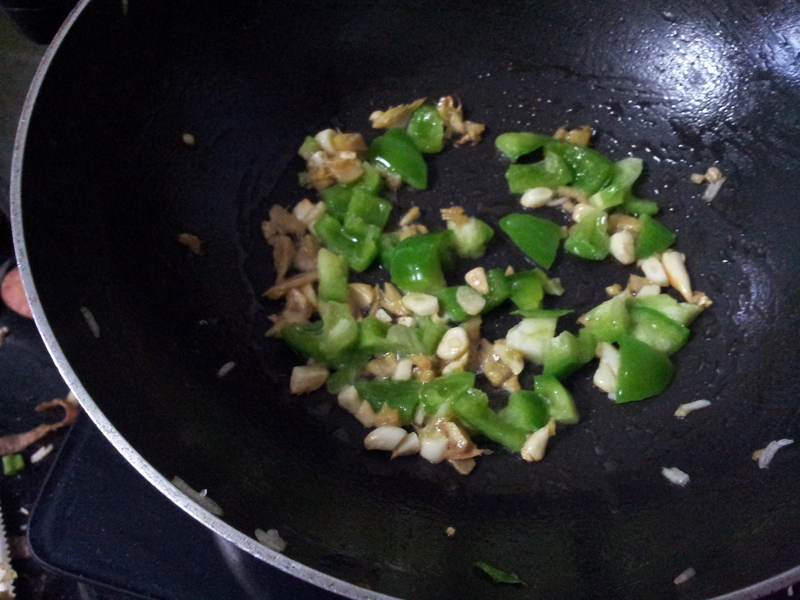 Add chopped spring onions green and capsicum stir fry for a minute. 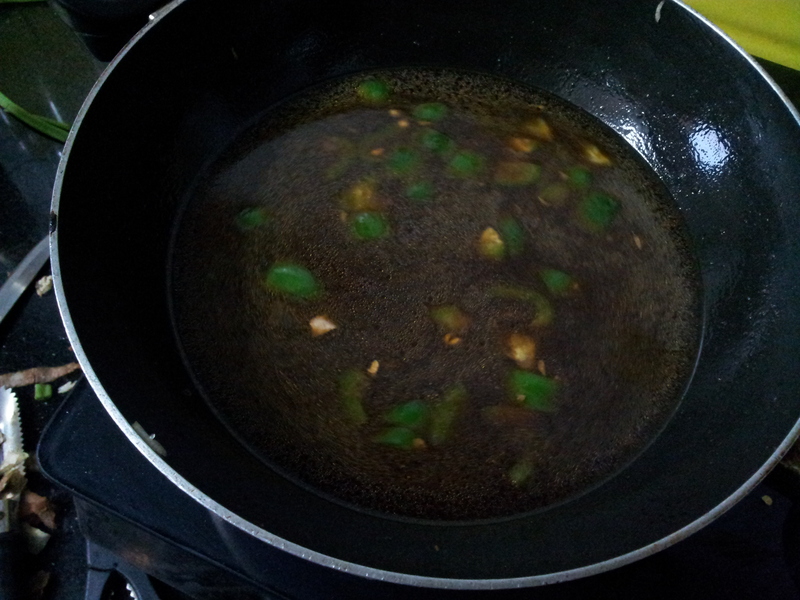 Add the stock, soya sauce, cornflour paste, sugar and salt and simmer for a few minutes. 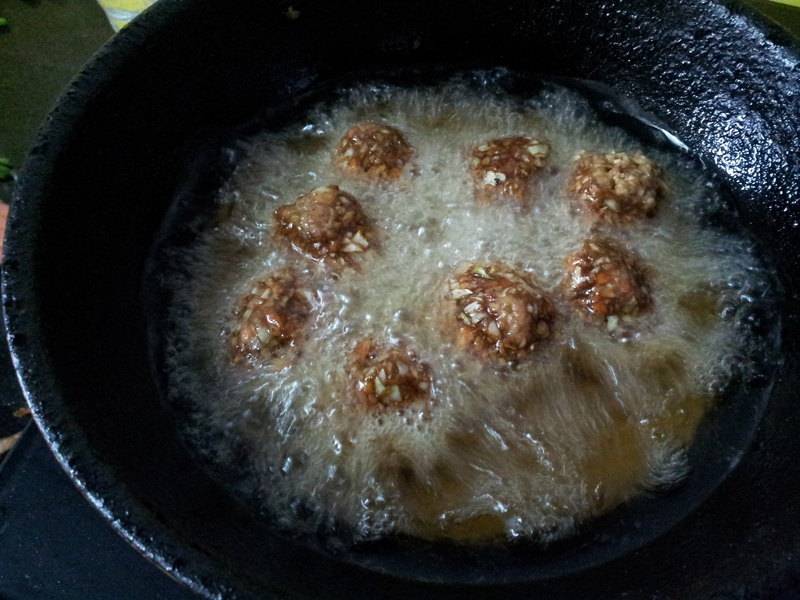 Once the sauce thickens,add fried balls,simmer for 2 minutes. Remove ina bowl and keep aside. 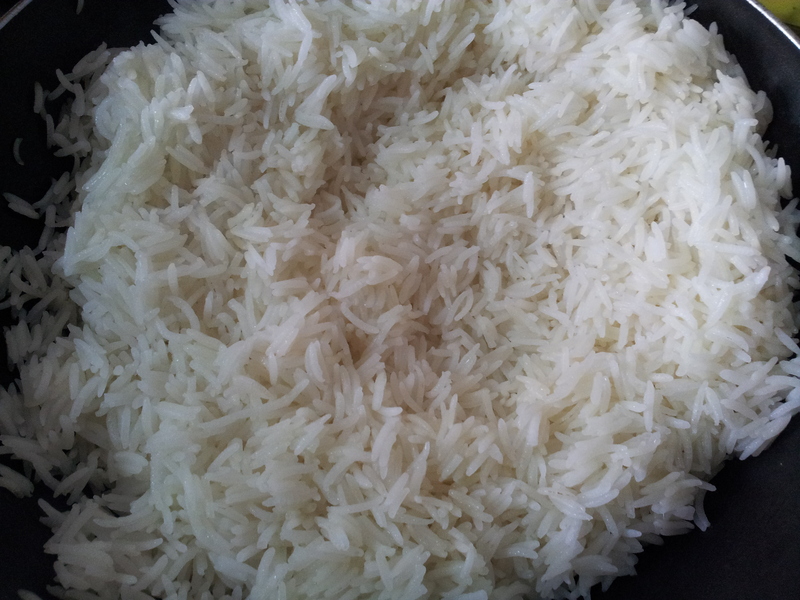 Wash & soak rice for half an hour in 2cups of water. Heat 1 tsp oil in a pan,add rice and cook till 3/4 th done with 1 1/2 cup boiling water. Once cooked,remove in a plate and spread with help of fork to avoid lumping. Heat oil in a big wok/pan. 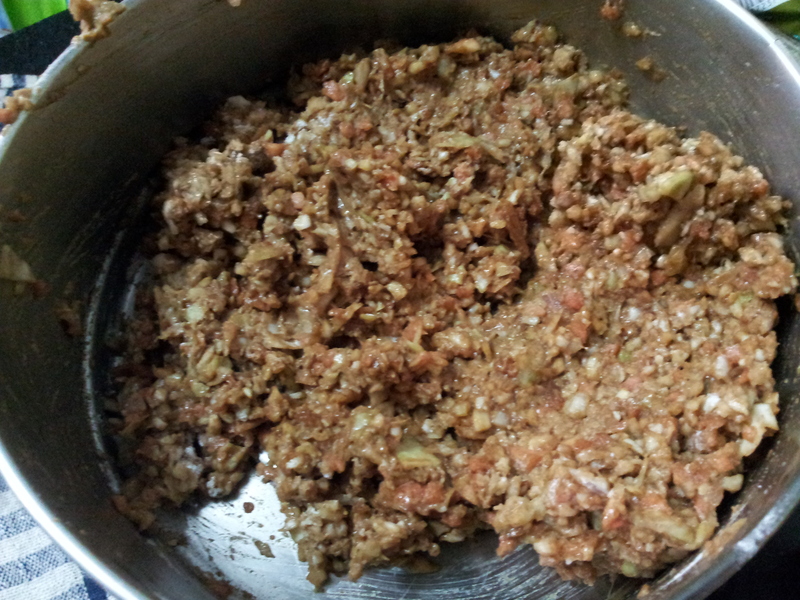 Add ginger garlic paste,stir for 2 minutes,add spring oninons and chopped Capsicum, stir on high flame for 2 mins. 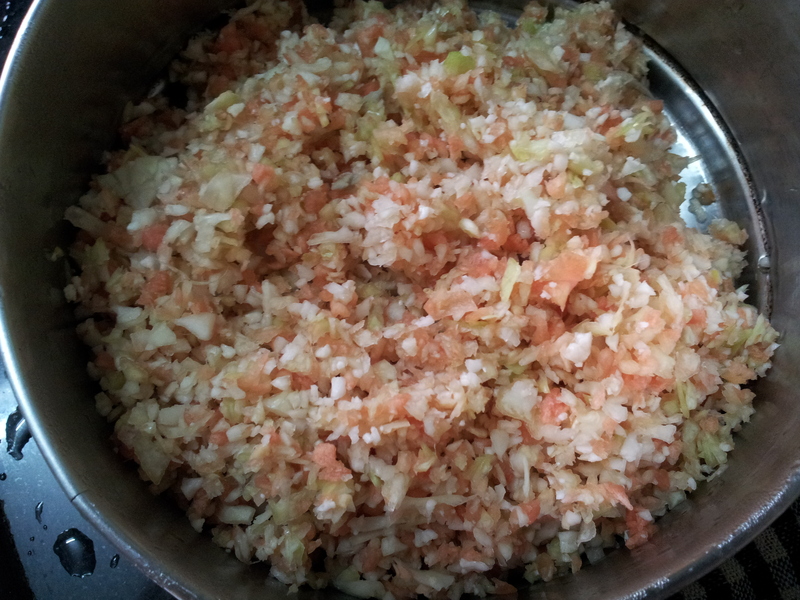 Add cooked rice,salt and pepper.Mix well. Stir fry for 2 to 3 minutes. Remove in a serving bowl, make a well in betwen,add prepared manchurian gravy, garnish with chopped spring onion greens and serve hot.